As we all know, and forever will, Loris Karius threw the ball at the Frenchman’s outstretched leg and it rebounded into the net to put Real Madrid ahead. It happens about two times per season, including every level of professional football, so for it to happen in a Champions League Final was unprecedented. “My goal from Kiev, it was not a matter of luck,” he told Spanish outlet AS. “I do not believe in luck, it’s a matter of work. That’s a little ridiculous, to be honest. 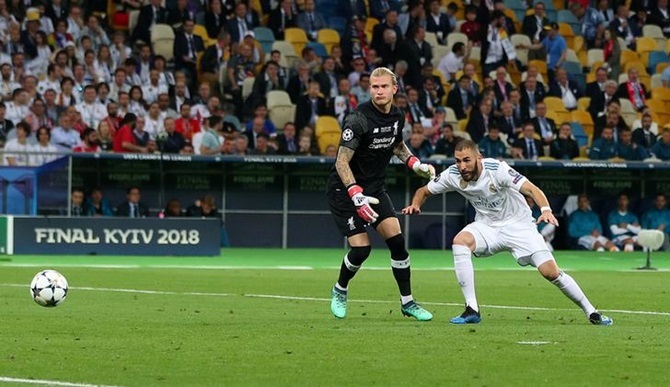 A snide challenge from Sergio Ramos meant Mo Salah exited the pitch injured – and Karius’s blunders earned the Spaniards two of their three goals. Nobody knows what would have happened if the Egyptian had stayed on and Karius was on-song, and the sad truth is, we never will. For now, we look forward. Under Jurgen Klopp, Liverpool can and will achieve great things.